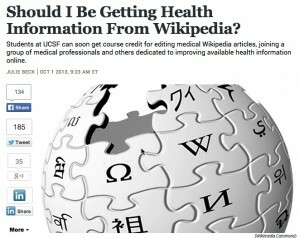 WikiProject Medicine: med students join in producing high quality Wikipedia articles. 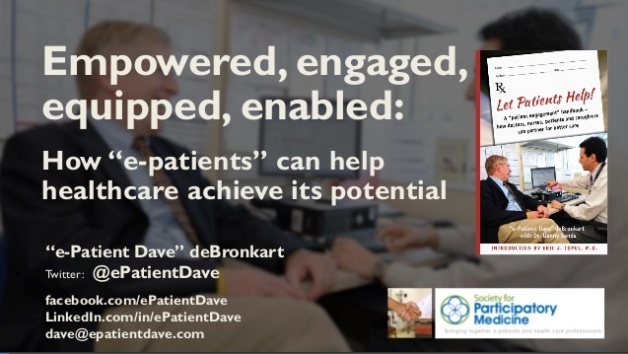 I’m taking the extraordinary step of rerunning, verbatim, an entire post from the e-patient blog in 2014 about this important development. Why? Because tomorrow an update is coming, and to fully appreciate the news, you need the background. 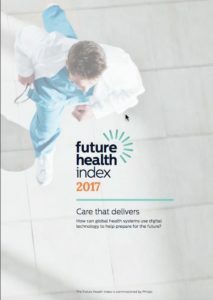 Looking back on this, I see it sums up tons of different issues that have turned out to be important to a key question about how best to do healthcare: how do we know which information is reliable, and how can we improve how we get there? 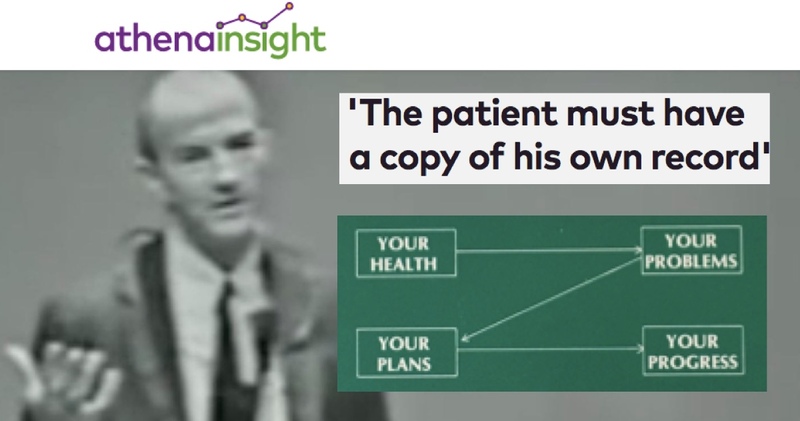 The answer is clearly not to only listen to the medical literature, which, it turns out, has important delays and quality problems. 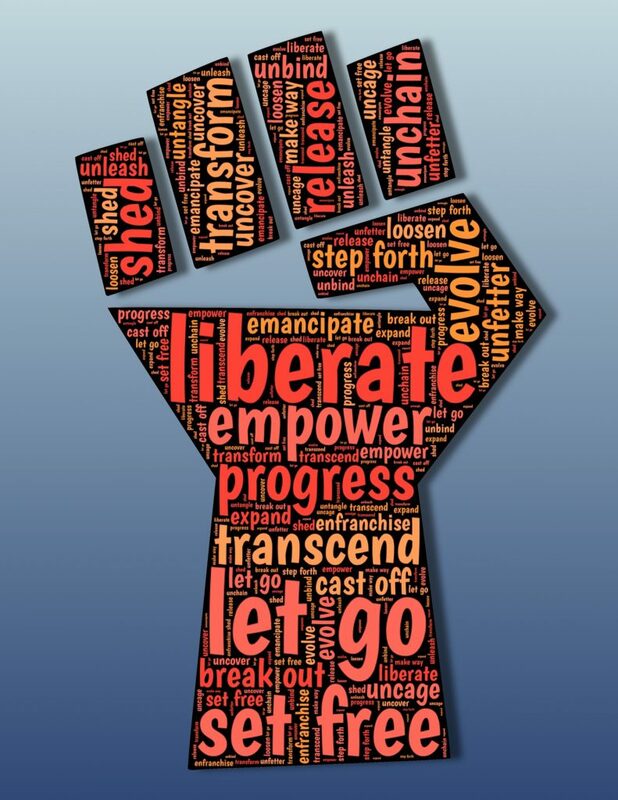 To understand that radical statement, read the links in this long post. 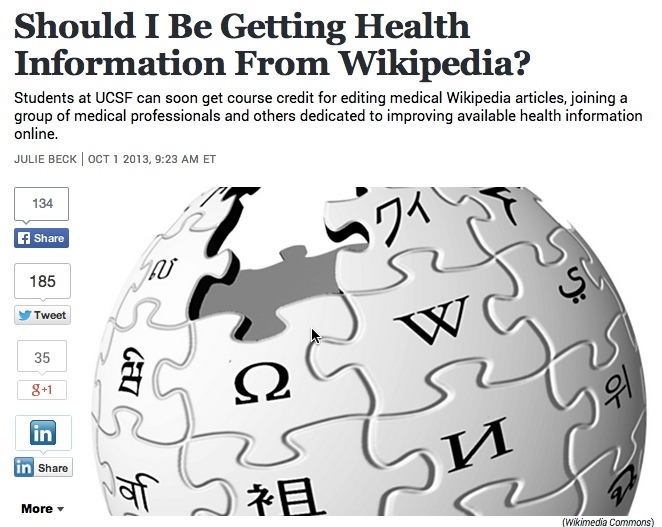 Last fall , UCSF School of Medicine professor Amin Azzam started a course for fourth year medical students to become Wikipedia editors and apply their skills to Wikipedia articles that were important to them and were poor quality. It got big-name media attention (NY Times, The Atlantic), and it should – because as we’ve often written, one of the core challenges e-patients face (and doctors face!) 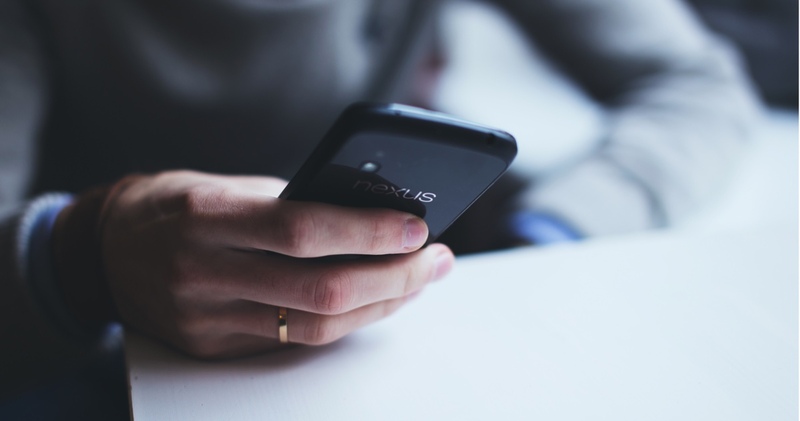 is finding up to date, reliable information.